Over the next few weeks, we will be implementing a brand new shopping basket on our website. To ensure it is implemented safely, we will be staggering users who see the new basket, so you might have the new basket earlier or later than other players. Don't worry - the aim is to gradually move everyone over to the new flow in the next few weeks. If you are having issues with making a payment, go here. For more information on the new shopping flow, read on! 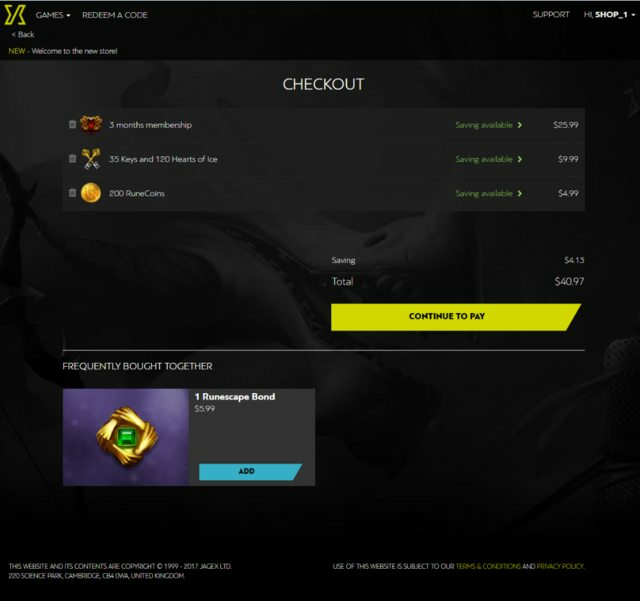 The new shop adds additional functionality to your experience by introducing a basket, so you can add any packages you want to your cart before making payment. You can upgrade or alter any packages before paying direct from your shopping cart. In addition, the new shopping basket is mobile-ready, so you'll be able to top-up your membership on your phone or tablet! Why can I see this new webpage but my friend has the old one? To ensure a smooth release we are enabling the new page for a small section of players, with that pool of people getting bigger over the following days. Don't worry, everyone will see the new page soon! Why can't I buy two bonds packages? Purchases are limited to one package from each group (eg. 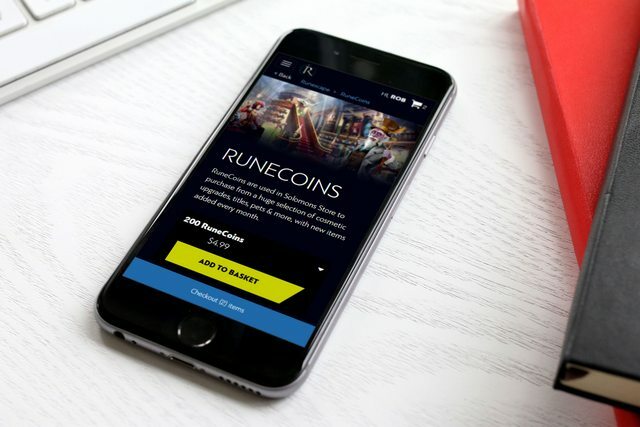 Membership, RuneCoins, Bonds, etc) per transaction. You can as always, make another purchase directly after if you need to. I have a package for outstanding balance in my shopping basket? Why can't I add a paybysms membership to the cart? Due to the nature of the payments, PayBySMS, Axeso5 and BoaCompra cannot be added to the shopping basket. For these methods specifically packages can only be purchased individually by selecting the method below the regular packages and choosing the desired package. 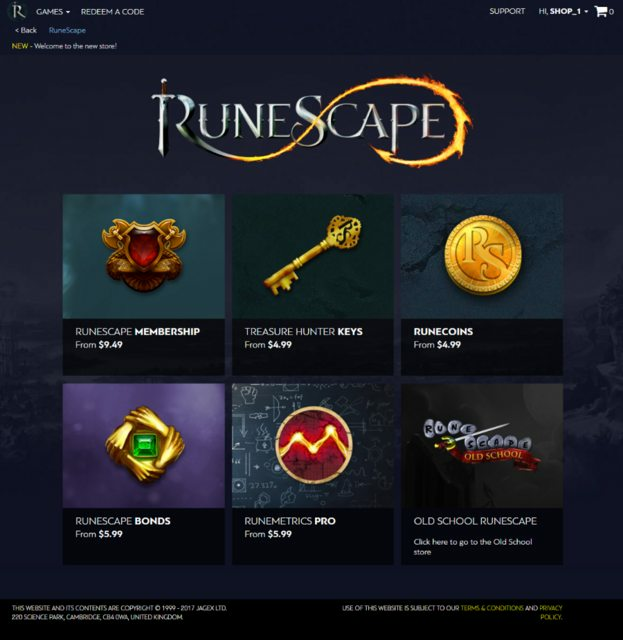 Why can't I buy membership and Runemetrics in the same basket? Packages that create a recurring subscription cannot currently be purchased together, we hope to improve upon this in the future but for the moment they will need to be purchased in separate transactions. Will this change my account in any way? No. While we’ve done a lot of work behind the scenes to update the flow – they are purely functional or cosmetic changes. Grandfather rates, loyalty rates, etc will be unchanged. The new webpage looks very different! Interesting, I imagine you are showing the new interface to a randomly-selected group of users to test how it affects their purchase behavior. 1) Are you also planning to update other billing pages, like the subscription management page, or the "redeem a prepaid card" page? 2) Make sure the language very clearly distinguishes OSRS bonds from RS3 bonds--it's not quite clear from the image shown above. Finance - I'm not 100% sure on #1, I'll check. #2, it's fairly clear when you're buying old school and RuneScape bonds. So this was the mysterious hidden thread of W&F?! I'm inclined to agree. Based off the picture provided, it leaves a bit unclear, especially if you've never seen what an OSRS Bond looks like, or vice versa. If nothing else, the bonds should be named "Runescape 3 Bond" and "Old School Runescape Bond" Don't look to hard. If nothing else, the bonds should be named "Runescape 3 Bond" and "Old School Runescape Bond"
Agreed; as there are frequently people posting about bond transfers after having bought them on the wrong game, this would be a very useful change. Just returned to the game? […] the bonds should be named "Runescape 3 Bond" and "Old School Runescape Bond"
The main game isn't officially referred to as RuneScape 3 anymore. If anything, the Bonds should be "RuneScape Bond" and "Old School RuneScape Bond".